Local Authorities have a statutory road safety role, as stated in Section 38 of the Road Traffic Act 1988 *. The London Road Safety Council believes local authorities have a key part to play in reducing road traffic collisions and casualties through the implementation of data-led road safety engineering measures and education, training and publicity programmes that are supported by this evidence. Research indicates that driving or riding too fast for the conditions, regardless of the particular speed limit, is a major contributory factor in more than 1,000 deaths and 40,000 injuries on the road each year. Local conditions and circumstances can mean that driving at the posted limit is still dangerous. These casualty figures associated with speeding are enormous and largely preventable. The Council strongly endorses active enforcement activities to catch and penalise drivers and riders who endanger other road users by their irresponsible behaviour. Reducing the impact speed of a car hitting a pedestrian, from 30mph to 20mph, can make a significant difference to a pedestrian’s chances of sustaining fatal injuries. The London Road Safety Council supports the implementation of 20mph limits and zones in areas where there is a high possibility of conflict between vehicles and pedestrians. The law requires all vehicle occupants to wear seat belts, and children to use the correct restraint for their weight and height until they reach their 12th birthday, or are 135cm in height. Only EU approved child car seats can be used in the UK. It is the driver’s responsibility to ensure that children under the age of 14 years are restrained correctly in accordance with the law. 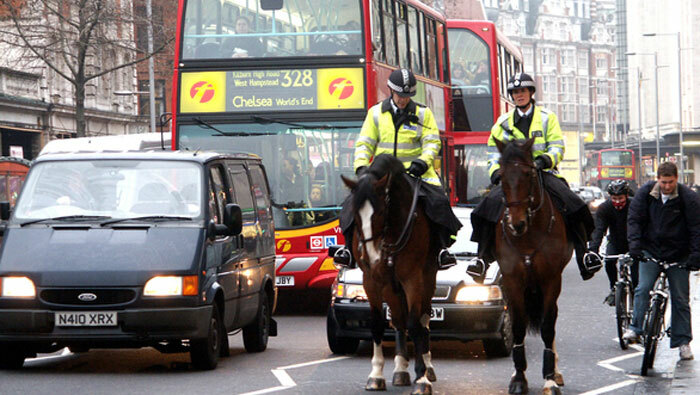 The London Road Safety Council encourages the police to actively enforce this legal requirement and supports local authorities in promoting in-car safety. In particular we encourage raising awareness among drivers and retailers of the need to correctly fit car seats that are appropriate for both the child and the car. Currently at least 50% of child car seats are incorrectly fitted. Children and young people are among the most vulnerable road users. They are involved in a disproportionate number of road traffic collisions and crashes, particularly as pedestrians and cyclists. Drivers obviously have a significant part to play in reducing child casualties, especially in recognising that children are often less visible than adults and can behave unpredictably on the road. However, we believe that parents and schools also have a key role in providing education and training in practical road safety skills. The first experience many children have of independent road use is as pedestrians, and they are especially vulnerable because of their small stature and inexperience. We support the successful kerbside pedestrian training courses provided by many London boroughs. Typically this training is given to primary aged children via their schools and we encourage all boroughs to continue with this initiative. Since the middle of the last century, child cyclists have received training from the police or local authority road safety officers. This training has been superseded by the National Standard ‘Bikeability’ training scheme, delivered or facilitated by local authority road safety officers, and is fully endorsed by the Council. This high quality scheme includes a significant element of on-road training which we consider essential for an effective preparation for cycling on London’s roads. We also encourage cyclists of all ages to wear approved cycle helmets and high visibility clothing and to obey the legal requirement to use correct lighting when visibility is reduced. As with child pedestrians, we strongly recommend that drivers slow down in the vicinity of child cyclists and allow them extra room. As mentioned above, it is essential that children are correctly restrained as passengers in vehicles; because their bodies are not fully developed, they are especially vulnerable to injury in crashes or collisions. Adults, particularly when new to cycling, are recommended to take training. Many London boroughs provide or facilitate such courses and we urge them to continue with this service. The council is supportive of this healthy and environmentally friendly mode of transport but recognises that cyclists continue to be over-represented in road casualty figures and urges them to ride responsibly and wear approved helmets and high visibility clothing. Cyclists are required to obey the rules of the road. We also encourage drivers to respect cyclists’ rights as road users and to drive with care. Riders of motorcycles and mopeds constitute an extremely vulnerable group of adult road users, who are seriously over represented in London’s collision data. While they are required to take the basic Certificate of Basic Training (CBT) test, the Council strongly urges riders to take further training – often facilitated by London boroughs – and the Bike Safe and Scooter Safe courses provided by the Metropolitan Police, to improve their skills. The Council strongly urges drivers to be aware of motorcyclists and to take extra time to check for them at junctions. Motorcyclists are recommended to wear approved protective clothing and to make themselves visible to other road users. This subject has been a concern for central and London government for many years and the Council believes that most drivers are now aware of the penalties for driving over the legal alcohol limit and the dangers of driving while under the influence of alcohol. However, recent changes in the strengths of alcoholic drinks and the size of the glasses in which they are served can confuse drivers. The Council would like to see messages to motorists emphasise that it is better not to drink alcohol at all when driving. • 107 milligrammes per 100 millilitres of breath. The Council is concerned about the growing problem of driving while impaired by drugs and would urge that the rules are clarified for drivers and riders. It is illegal to drive if you are impaired by drugs you have taken whether or not they are illegal or have been prescribed. The penalties are similar to those for driving while impaired by alcohol. It is also illegal to drive with certain levels of particular drugs in your body and details of these can be found on the government website. As with alcohol limits, the Council recommends that drivers who take drugs for whatever reason should make themselves aware of the rules and take responsibility for their own driving behaviour. It is illegal to use a hand held mobile phone while driving. This includes using the phone to follow a route as well as texting or checking social media. The Council is concerned that this practice appears to be widespread and would encourage much more awareness-raising about this issue. This should include understanding that even use of a hands free mobile phone reduces a driver’s concentration considerably. Similarly adjusting devices such as a sat nav while driving can cause distraction for drivers, who can be prosecuted for careless or dangerous driving if not in control of their vehicle. The Council would urge rigorous enforcement of the rules concerning the illegal use of mobile devices. Must carry out studies into accidents arising out of the use of vehicles on roads or parts of road, other than trunk roads, within their area. In constructing new roads, must take such measures as appear to the authority to be appropriate to reduce possibilities of such accidents when the roads come into use. ** seat belt legislation to follow.